Level 1-2 - Casual bikers: Mostly flat terrain, a few physical condition is necessary, relaxed pace still gives you enough time for breaks and sightseeing. Home-based tour: day trip-recommendations can mostly be indivudally planned, relaxed bike-tour-vacation in selected hotels, you don’t have to pack each morning, if you don’t feel like riding, you can rest or pursue another activity. 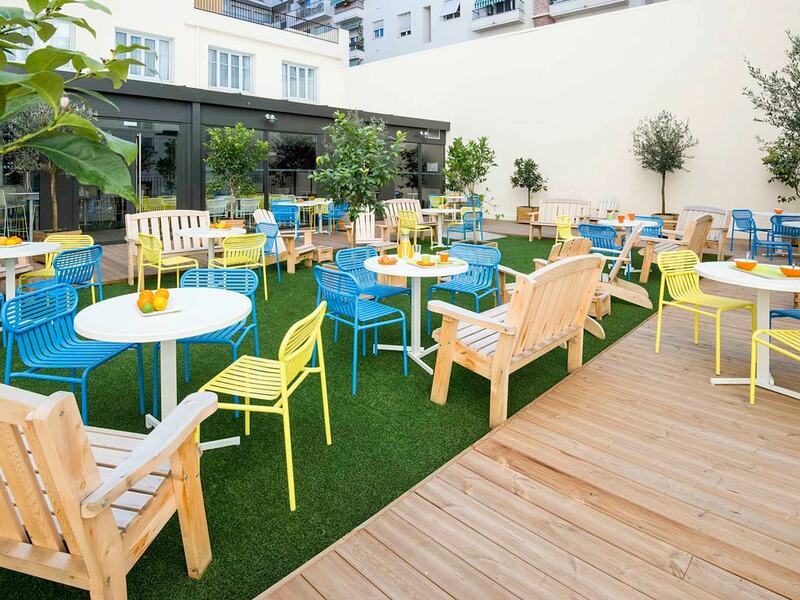 The fashionable metropole of Nice - creative, dynamic and young - is the epitome of sunny France. Hyères, the peninsula Giens and the gold island Porquerolles are a very special insider tip. During your bike tours you will discover medieval towns, romantic, small fishing villages and dreamy bays surrounded by the turquoise blue sea. Easy and short cycling stages, all on asphalted cycle paths or side roads. Rarely contact with traffic. The daily cycle routes can be individually extended or abbreviated. Individual arrival (airport Nice or Marseille, good train connection with the TGV to Toulon/Hyères). 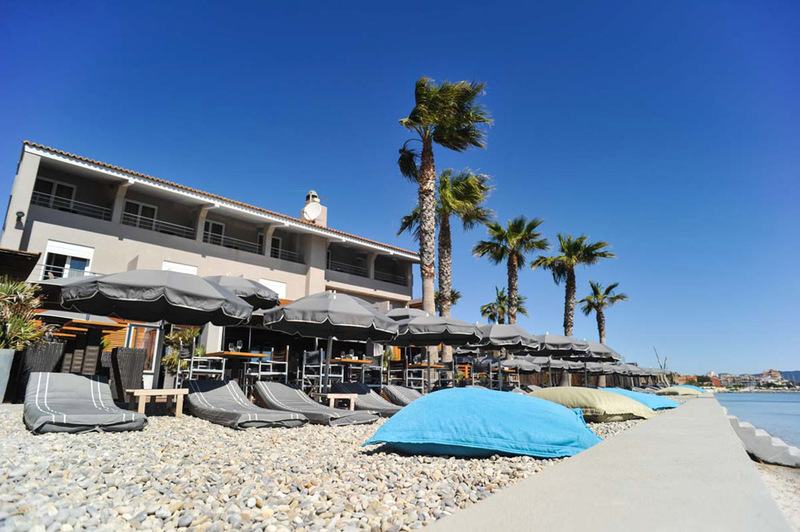 Your hotel is located in Hyères-Plage, close to the beach. The medieval old town with its narrow alleys and colourful houses is small, charming and typically French. A special highlight is the Villa Noailles (Bauhaus), from the castle ruin you can enjoy a fantastic view. 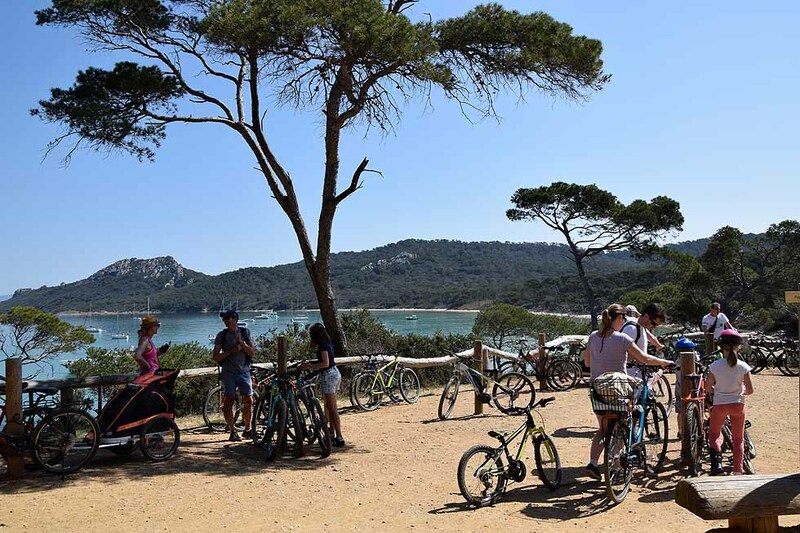 Alternatively all sporty cyclists can cycle through the lonely / hilly hinterland on tiny roads to the small village of Pierrefeu in the middle of the "Côte de Provence" wine growing area and through endless vineyards back to Hyères. On well-developed cycle paths you cycle over the old salt works, past vineyards and olive groves - the sea within a few meters - to the fishing village Le Lavandou, at the foot of the Moorish massif. With a little perseverance or by e-bike, a detour to Bormes-les-Mimosas, famous for its panorama and the old town, is worthwhile. Today you will not only change your hotel, your will find yourself in a whole new world. From the unspoilt coast you travel by train (included) to the capital of the Côte d’Azur. Nice awaits you with its old town, fashionable buildings and numerous museums. In the morning you have the opportunity to take part in an interesting city tour by bike (optional) or you can take the time to enjoy the city by bike. Explore Nice and its museums on your own. The Principality of Monaco is only 25 minutes away by train. You’ll get a different experience of the city from the one that the pedestrians or tour busses get. It’s an introduction to "the Best of Nice" on roads that are mostly flat and smooth. There is one hill climb up to the Chateau Hill, where you’ll experience breathtaking panoramic views of Nice. The pace of the tour is very relaxed. Tours will be operated during all weather conditions! The famous Promenade des Anglais takes you along the Mediterranean coast to Antibes. The small town of Greek origin is not only well known for its marina, but also for the Old Town and the Picasso Museum. Surround the Cap d’Antibes with its botanical garden, where the High Society owns its holiday villas. At the end of your cycle trip you can stock up on Provençal specialities at the famous market Cours Saleya and drink a café au lait before you start your return journey. It is also a good idea to extend the trip - Nice and the surrounding area still have a lot to offer. The car rental prices on the Côte d’Azur are really low. Individual departure or extension. Direct TGV train connections between Nice city and Toulon (approx. 2 hours) or regional train with 1x change in Hyères city. Approx. 2 1/2 hours. Alternative from Marseille airport by bus and train to Hyères city which takes approx. 2 1/2 hours and you need to change the 2 times. Afterwards use a taxi to your hotel at Hyères plage. Details see arrival by plane above. 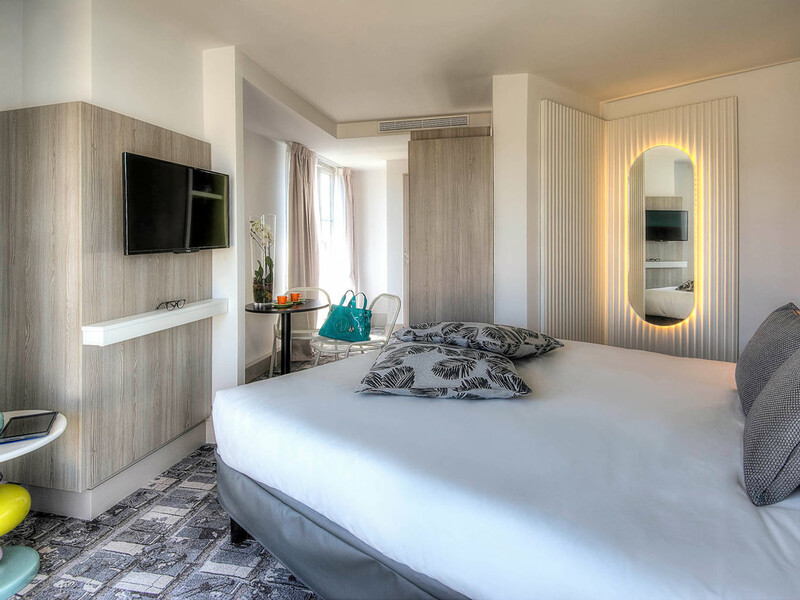 The Villa Rivoli is a privately owned and managed hotel in the historic centre of Nice, only 100 m from the beach and the Promenade des Anglais. 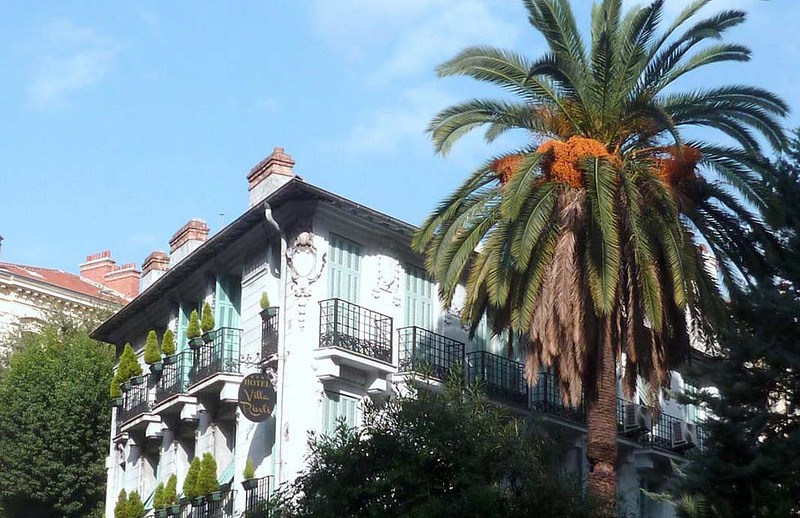 Look forward to an accommodation fromg the 19th century Belle Époque-style building with a garden and concierge service. 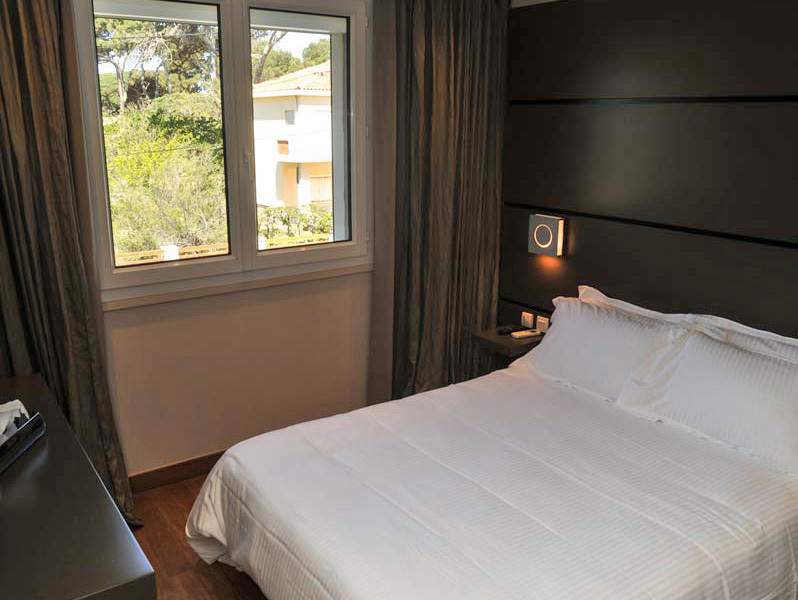 All rooms are equipped with a flat screen TV and free WLAN. They all have a balcony and you have a nice view of the garden and the surrounding area. The hotel Rivoli prepares a breakfast buffet for you, which you can enjoy in the breakfast room or in the comfortable ambience of your room. Several bars and restaurants are within walking distance. The modern design hotel is located on the Giens peninsula, directly by the sea with its own private beach and offers a unique view of the gold islands of Port Cros and Porquerolles. The reception is open 24 hours, the rooms are equipped with flat-screen satellite TV, desk, shower/WC and air conditioning. Free WLAN available. On the hotel terrace you enjoy your breakfast and in the adjacent restaurant the Mediterranean kitchen with fresh regional ingredients at sunset. A bus stop is only 500 m away, the city centre of Hyères is 7 km away. The modern hotel in the heart of the historic music district centre is located very close to the railway station, bus, tram and Mozart car park (50 m away). 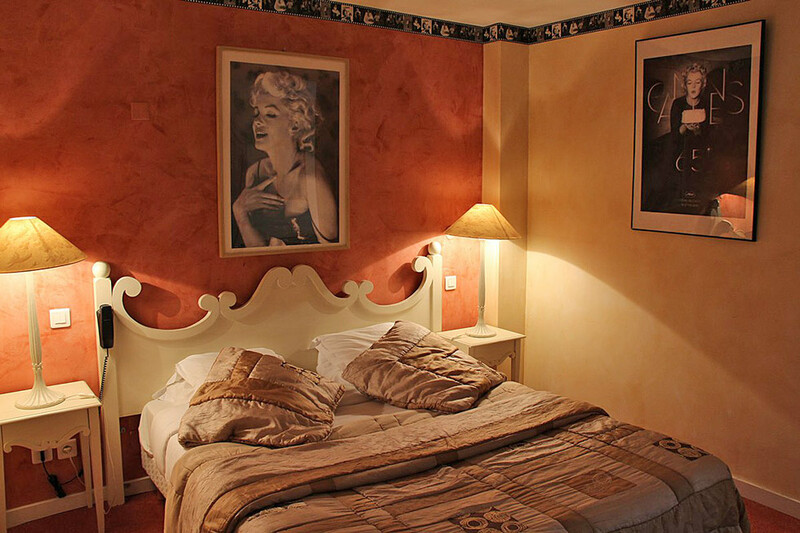 Only a 10 minutes walk to the famous Place Masséna, the Promenade des Anglais and the beaches. Nearby you will find countless fantastic restaurants offering the best of French cuisine at very attractive prices. The modern rooms have shower/WC, flat screen TV and air conditioning. Free WLAN is available in the hotel. 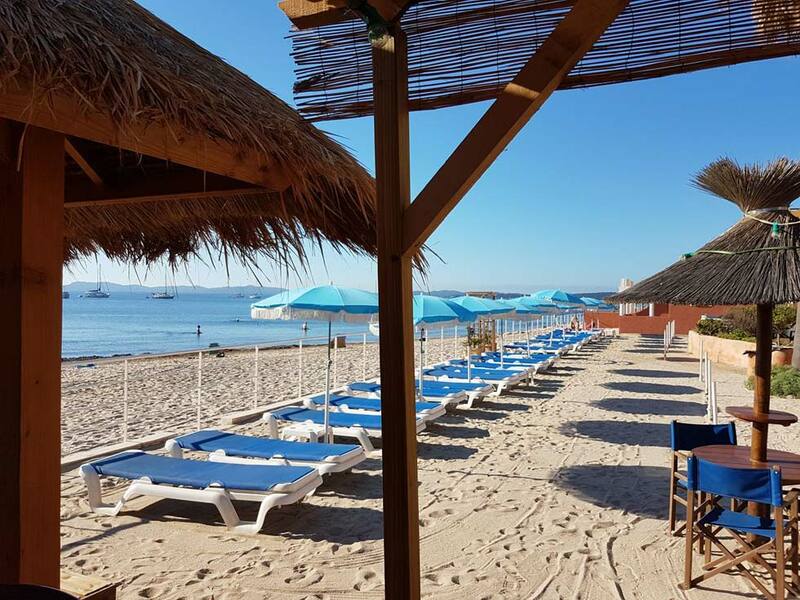 Directly next to Port de Plaisance the hotel La Potinière is located with its own private beach. 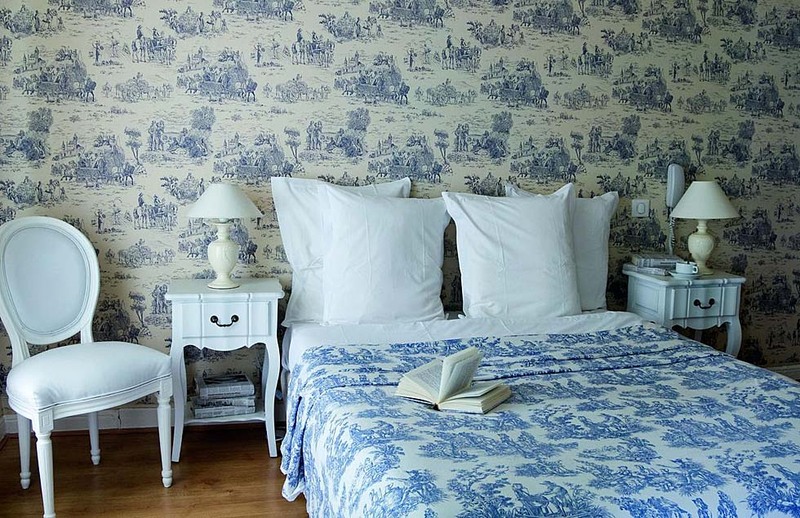 This hotel overlooks the islands of Porquerolles and Port-Cros. The rooms in typical Provencal style are functional, comfortable and quiet, have shower/WC, flat screen TV, air conditioning and hairdryer. Free WLAN is available in the hotel. Hyères with its many shops, restaurants and the famous Chateau de Saint Bernard is only 7 km away. The offered bikes are touring bikes with an aluminium frame and kitted with responsive brakes and gears. Plus: mudguards, comfort gel saddles, flat-palmed grips, Schwalbe Marathon anti-puncture tyres. with tyres in different frame dimensions for ladies and gents. All bikes are equipped with a one-sided Ortlieb pannier (20 liters), a lock, repair kit and a rental helmet. can happen even with new wheels and by best servicing. With the rental bikes you will receive a repair kit. Should a repair not be possible, please contact our service number!